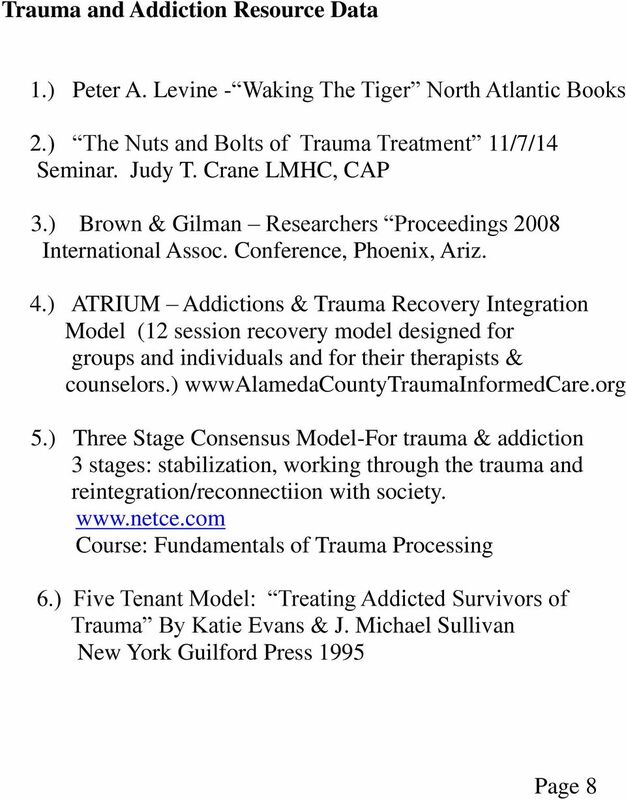 Download "TRAUMA & ADDICTION. written for. 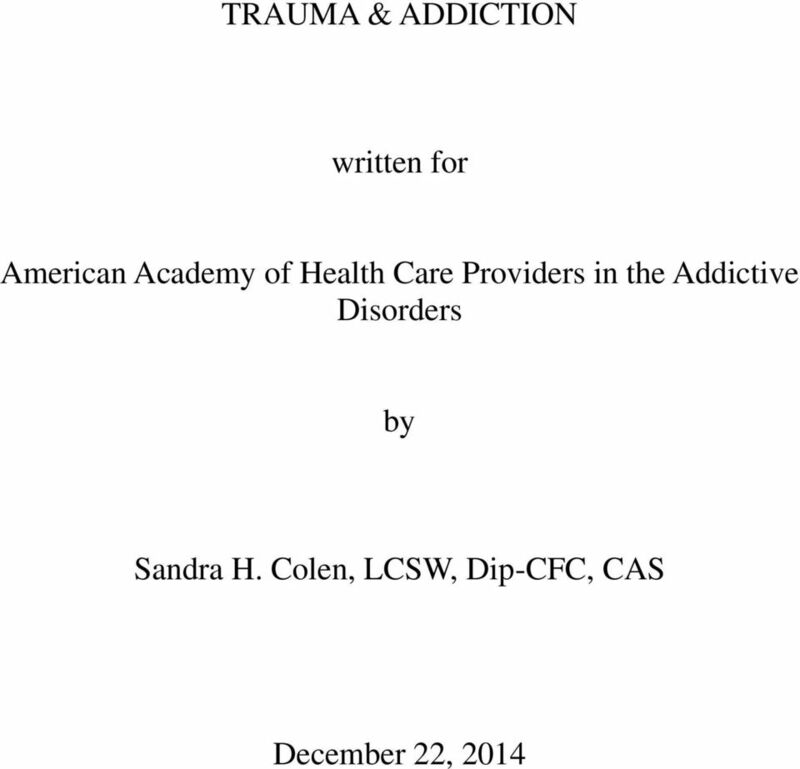 American Academy of Health Care Providers in the Addictive Disorders. 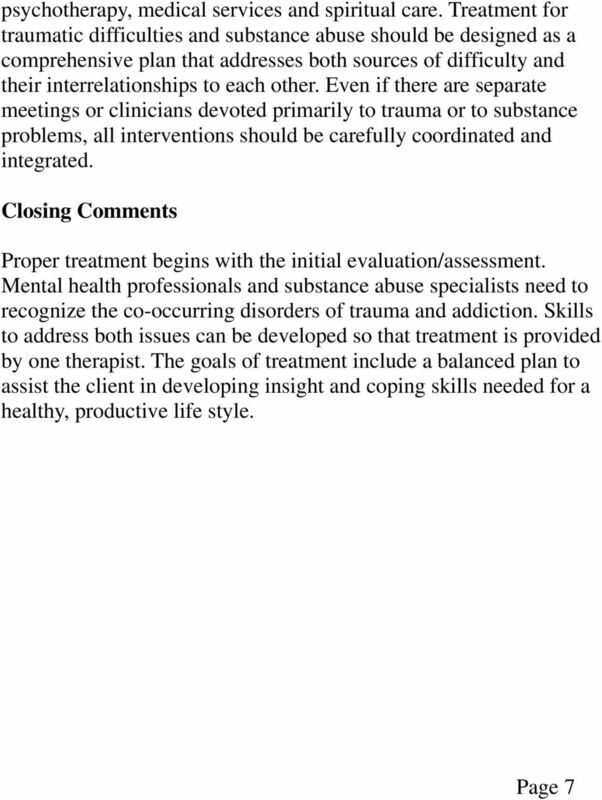 Sandra H. Colen, LCSW, Dip-CFC, CAS"
Trauma FAQs. Content. 1. 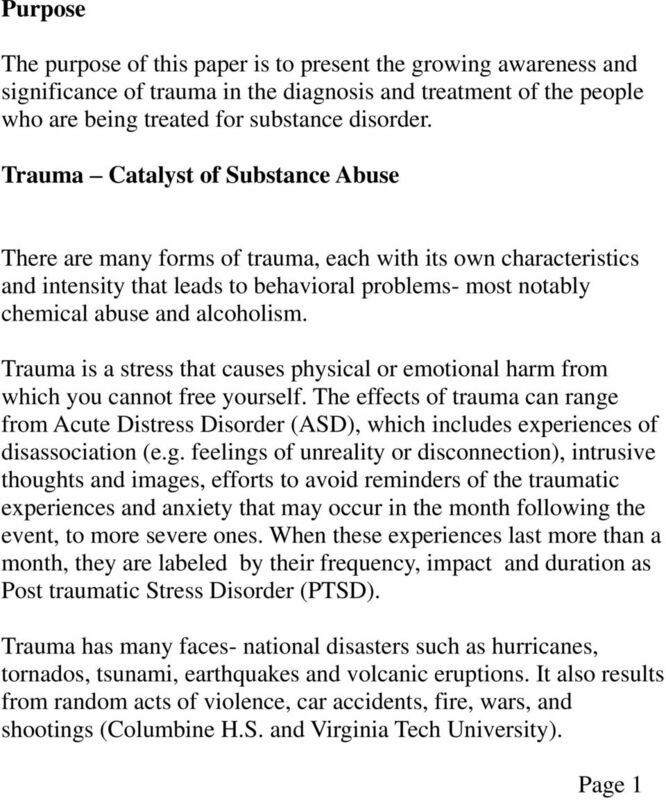 What is trauma? 2. 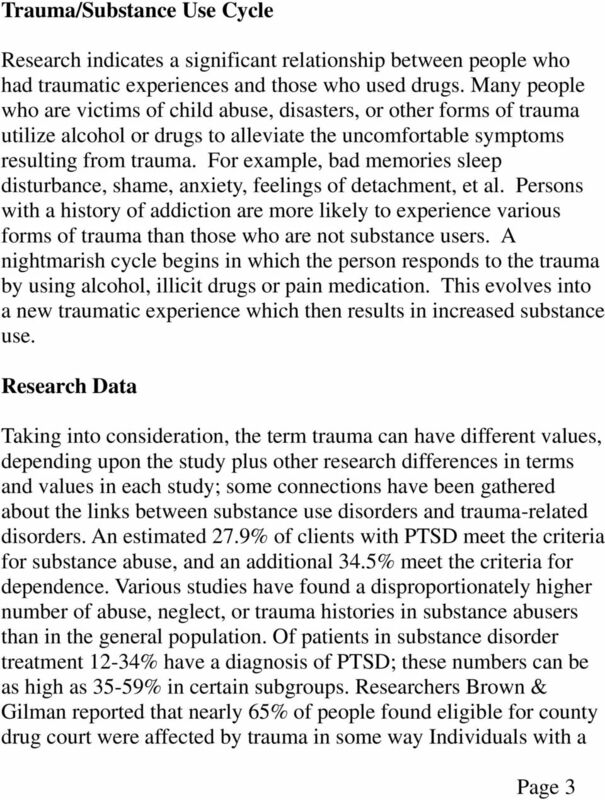 What events are traumatic? 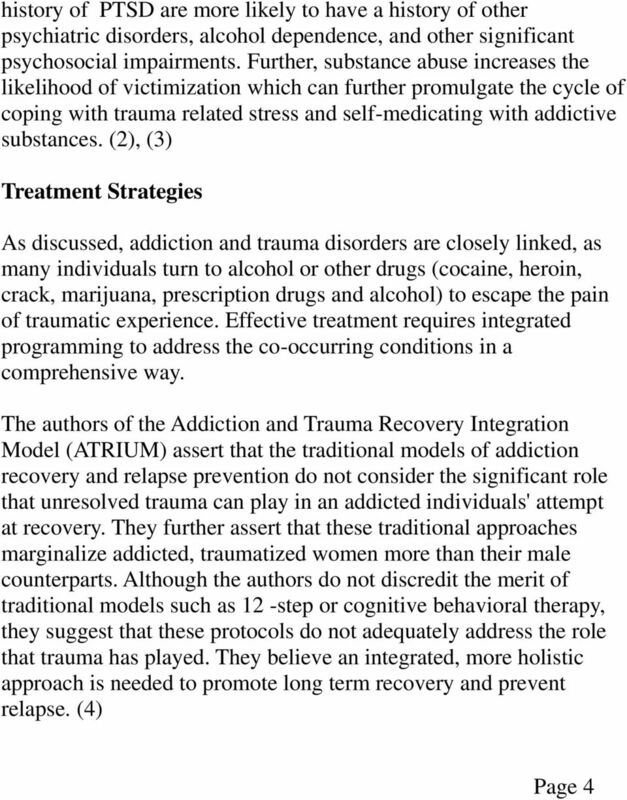 FAMILY PROGRAM Addiction takes a toll not only on the individual, but on the family, as well. When using, addicts are selfish and selfcentered; their wants and needs are placed ahead of the ones they love. 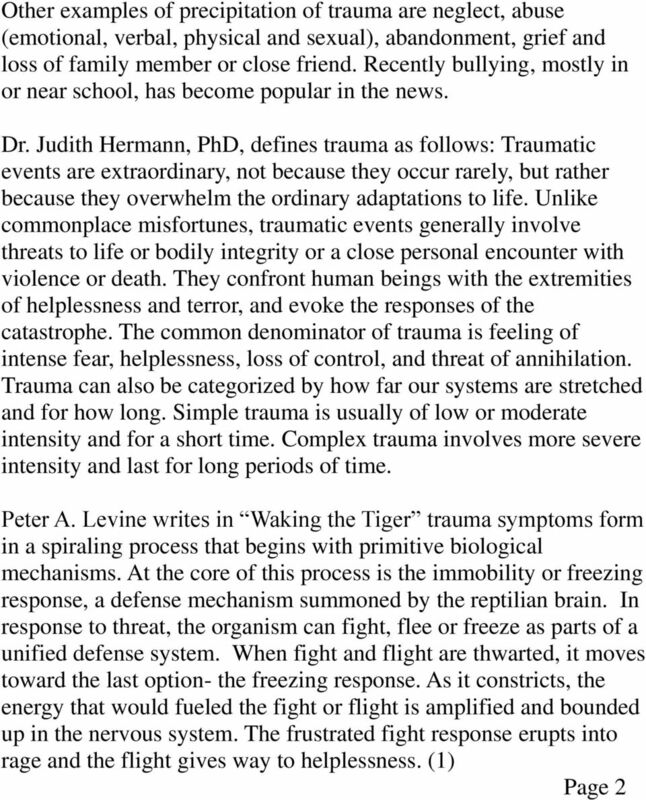 Essential Trauma Informed Practices in Schools. Shannon Cronn, N.C.S.P. Barb Iversen, M.C. 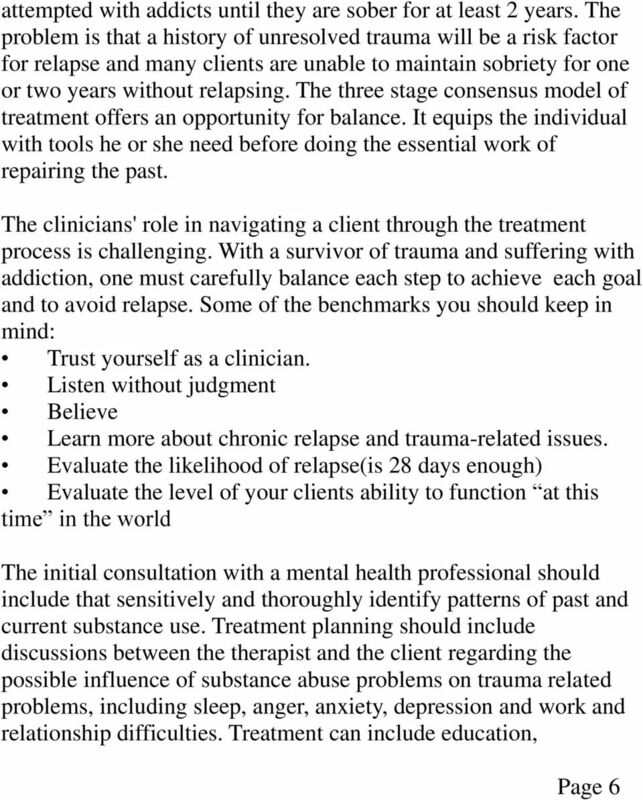 Treatment Planning. The Key to Effective Client Documentation. Adapted from OFMQ s 2002 provider training. The Priory Group. What is obsessive-compulsive disorder? Empowering people to improve their lives. 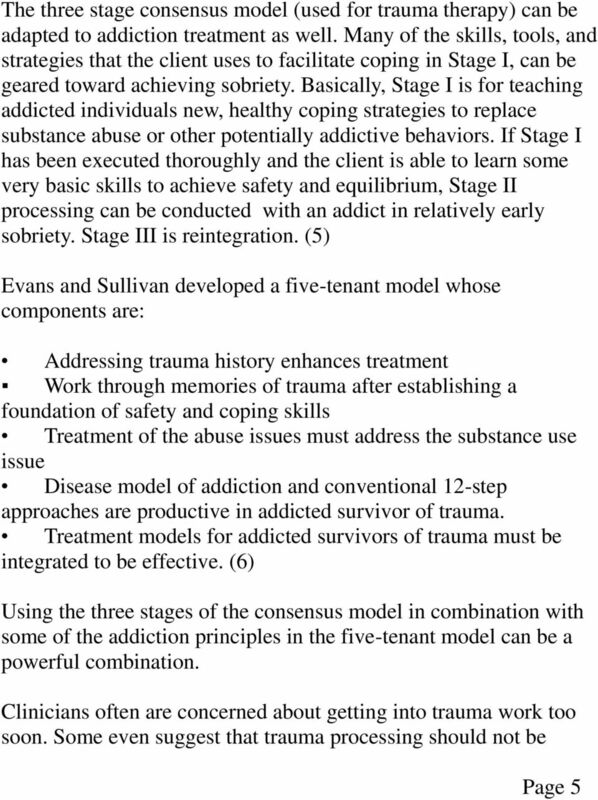 Module 2: Understanding Addiction, Recovery, and Recovery Oriented Systems of Care This module reviews the processes involved in addiction and what is involved in recovering an addiction free lifestyle. Michael Brennan, MA, LMHC Providence St. Peter Hospital Crisis Services Welcome to the E.R. : Emergency: noun Webster 1. a sudden, urgent, usually unexpected occurrence or occasion requiring immediate action. I. Each evaluator will have experience in diagnosing and treating the disease of chemical dependence.